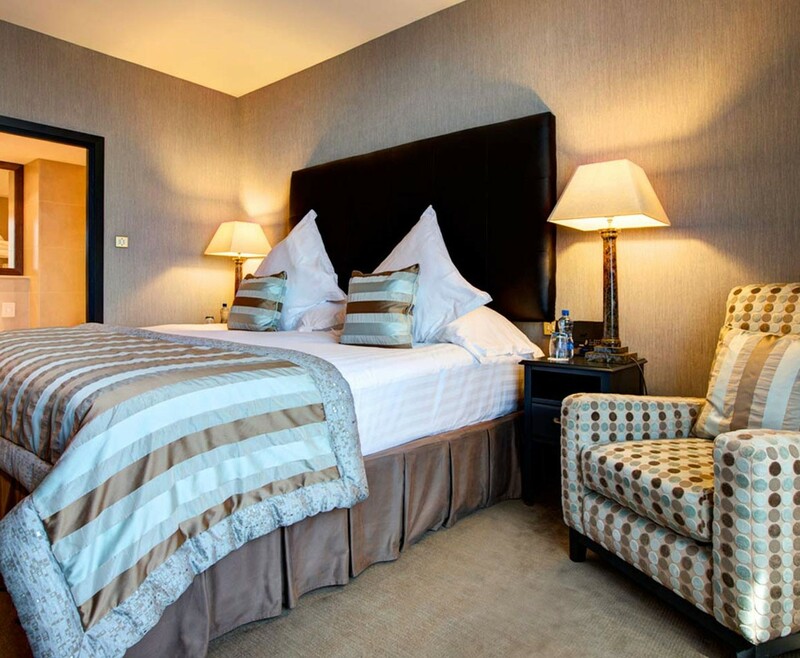 Enjoy this Belfast Hotel Break for Two at the spectacular Hastings Europa Hotel, which is sure to be a romantic break in this beautiful setting. 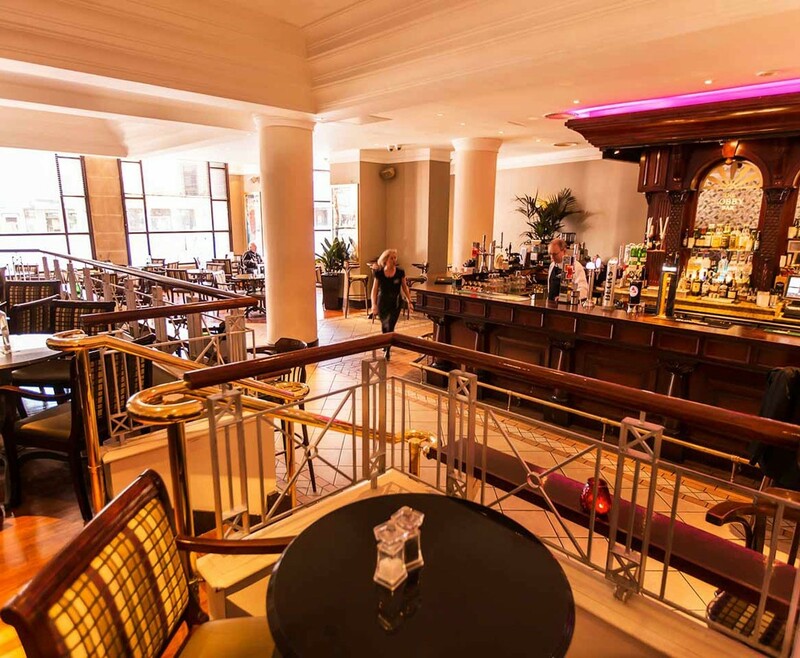 Grab this perfect Belfast Hotel Break for Two at the Hastings Europa Hotel. This is the best opportunity for couples to clutch on to for the ideal getaway. With the astonishing choice of 272 hotel rooms, this hotel is in the heart of Belfast, located in the city. Your one night stay in this amazing hotel will include Breakfast, a bottle of house wine, a delectable fruit basket and full access to the leisure facilities. With separately designed rooms, they have their own traits and qualities. Each having elegance and a modern day design, so you can rest your head in style! At this Belfast Hotel Break for Two, your accommodated room will include: the all important free accessible Wi-Fi, room service, working desk and television. (Exclusive suites available) complimentary cocktail is offered at your arrival. If you are intrigued by city life, then this is the perfect hotel stay for you. As it is situated in Belfast city so there is plenty to explore and discover. When dining here, you are introduced to a comfy seat and a spectacular dining scene, with spot on scenery for romance. Simple, classical and stylish food is provided at your Belfast Hotel Break for Two. With the chefs specially selecting different herbs and ingredients, so be sure to be served the freshest of dishes. A romantic stay in a twin or double room that combines character, style and luxury to create the perfect atmosphere for a romantic break. Wake up from a wonderful nights sleep and enjoy a multi award winning English breakfast to start your day right. 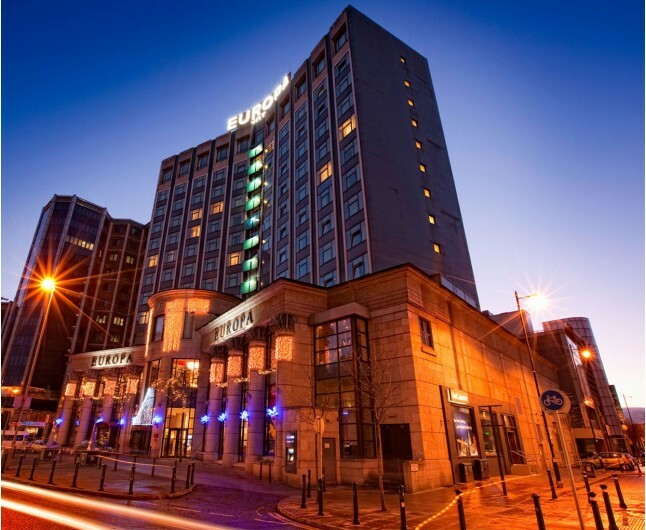 The world famous Europa hotel is located in the heart of Belfast City, with shops, restaurants, theatres, bars and many of Belfasts top tourist attractions all within walking distance of the property. 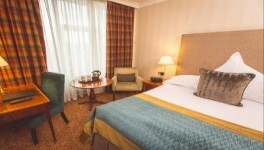 The Belfast Hotel Break for Two is based on two people sharing a double or twin bedroom for one night. This experience is valid for 12 months from date of purchase. Breakfast for two people is included on the morning following your one night stay.